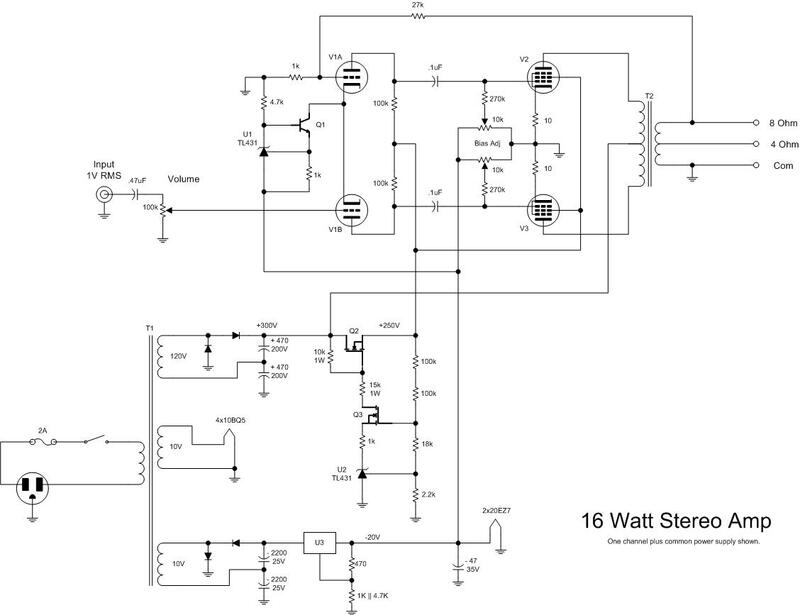 Here is a complete schematic of the amp. Only one audio channel is shown for clarity but the power supply is designed to power both channels. Click on the drawing to see a full size version.